Welcome to Finger Lakes Premier Properties! Finger Lakes Premier Properties has the largest selection of Finger Lakes vacation rentals and lakefront homes for sale in the region. Our properties are all waterfront homes and range from cozy cottages and cabins to luxury vacation homes for sale and rent. Whatever your interests and budget, we are confident you will find a great Finger Lakes vacation home to rent or buy. Whether it's a 5 star with a hot tub, sweeping verandas with top-of-the-line amenities or a quaint fishing cabin in a sheltered cove, we have the Finger Lakes rental you're looking for. Our Finger Lakes vacation rentals are located on Canandaigua, Conesus, Honeoye, Keuka, Seneca and Cayuga lakes, and can be rented by the week, by the month, or just for a few days, depending on the time of year. We also offer several Finger Lakes vacation packages and rental specials for our guests. If you are interested in a long-term rental on the lake from September to May, take a look at our Finger Lakes long-term rentals. Whichever you choose, you'll be able to enjoy the natural beauty of the Finger Lakes, take in our world-class wine region with over 100 wineries to visit, enjoy lake and outdoor activities, quaint shopping, community festivals, and tons of small town charm. We are happy to help you plan your ideal vacation in the Finger Lakes! Explore the variety of attractions throughout the region by visiting our area map. Our Finger Lakes rentals are conveniently located near all the best things to do in the region. 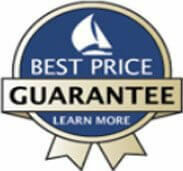 We are also the leading lakefront Finger Lakes real estate company. Our dedicated sales team offers seasoned knowledge about the intricacies of buying and selling lakefront property. From investment properties to year-round homes, our team will help make your real estate dreams a reality. Stay on the Lake. Live on the Lake. 11 Lakes. Over 250 Rentals. 500+ Lake Homes for Sale.Endless Potential. Priceless Memories. Partner with the leading lakefront vacation rental management and Real Estate sales company servicing the entire Finger Lakes region. Simply click below to receive a free rental or sales market analysis of your home.